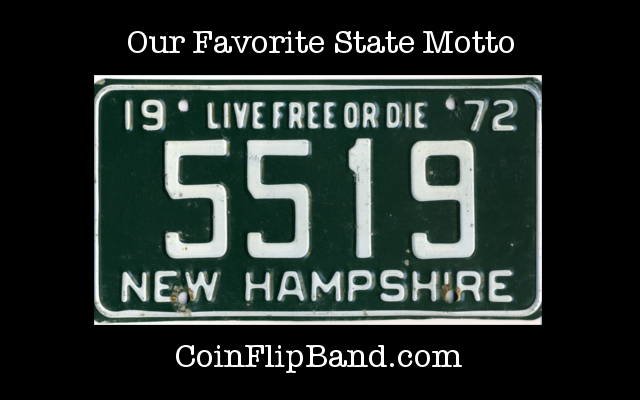 This is our favorite state motto. It reads on licence plates everywhere in New Hampshire, "LIVE FREE OR DIE". How cool is that? In our upcoming release we have a song called "American Dreamer" where we will use this quote in the lyrics. It will be dedicated to the Veterans and the ones who truly believe in this motto.